Just because you have a female manager doesn’t mean you’ll get better pay This is the most distracted group of people when they are driving How much home can these Millennial families afford in these top cities? Are you using any of these 100,000 worst passwords for cybersecurity? If you do this on your resume, there is a 79% chance you will not got hired You consume 92 extra calories a day by not doing this one simple thing The downside of having attractive coworkers Are you using any of these 100,000 worst passwords for cybersecurity? We’re large enough to make a difference but small enough for your voice to be heard. This means that we are an organization where every person matters. You can make an impact on the success of our business and that of our customers regardless of what career you decide to pursue. From data scientists to sales and client service experts, we’re hiring to support your growth and ours - Green light your career. Our Account Development Executives create business relationships exclusively in Competitive Accounts in a specific geographical area. Grow new market share through conquest sales, selling the depth and breadth of CDK’s product portfolio. Work in conjunction with all of your channel partners to increase sales opportunities of CDK Strategic Products. Achieve annual assigned sales plan, working under guidance of Director of Sales. Aggressively acquire new business by strengthening and influencing key automotive dealer relationships. Identify and define growth opportunities in the market for the business. Develop an overall sales plan and forecast sales results for both the short and long term. Accountable for generating significant revenue and profit growth utilizing a disciplined and process-oriented approach. Interface and work with internal teams through the sales and implementation process. Responsible to ensure all client information is entered into salesforce.com in a timely manner. Understand industry segment and keeps abreast of competitor developments in the market and/or territory. Develop comprehensive understanding of CDK products and their functionality. Must be able to negotiate and close major sales opportunities with executive level clients. Keen discovery skills and a desire to challenge prospects to improve their business processes. 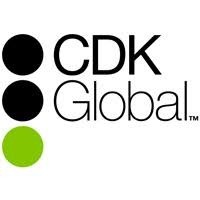 CDK Global knows you have passions outside of work. You have family, friends, sporting events, and lots of things going on. That’s why we offer a comprehensive benefits package to not only take care of you but your family as well. All of our benefits are effective the first day of employment including 401K matching, paid time off to re-energize, donate your time to volunteer in your community, and tuition reimbursement to name a few.